Montefiore’s Office of Religious Affairs recognizes each patient as an individual with personal values and belief systems. We support the right of patients to express their values and beliefs, and provide chaplaincy/religious services to help meet the spiritual needs of patients and family members. The chapels and synagogue at Montefiore are available for prayer, meditation and serenity seven days a week. Spiritual support is available upon request. Contact information for chaplains and schedules of religious services is available from The Office of Religious Affairs at Montefiore Medical Center. 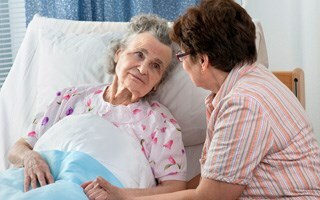 Requests for chaplain services also can be made through a patient’s nurse.